The course is dedicated to vocal ensembles (also with instruments), formed by a minimum of 4 singers, with or without conductor. The program of study will be agreed upon prior to the start of the workshop between the teacher and the leader/conductor of the ensemble. This will include part of the Renaissance repertoire of the ensemble and at least one piece specifically prepared by the ensemble for the occasion. Upon request it will be possible to organize a program of lessons specifically aimed at conductors, during the days prior to the beginning of the workshop. The last day of the workshop a concert of all the participating ensembles will be held. The best ensembles may be invited to perform in a concert in the context of the program of the 2019 Floremus Festival. This workshop is aimed at singers and instrumentalists who have already concluded or are about to conclude their musical studies. The program of study will focus on Italian madrigals and French chansons of the XVI cent., from Josquin to Marenzio. On application one or more audio files with at least 2 recently performed pieces must be submitted. During the workshop a theoretical and practical lesson on Renaissance dance will take place. The last day of the workshop a concert of all participants will be held. The best students may be invited to perform in a concert in the context of the program of the 2019 Floremus Festival. The workshop is aimed at amateur singers and instrumentalists who are interested in the Renaissance repertoire and have a fair experience in choir singing and playing. 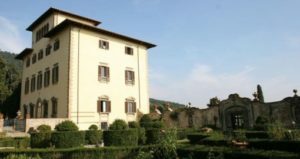 The programme of the course will focus on canti carnascialeschi, trionfi and canzoni villanesche of the XV and XVI cent. The last day of the course a concert of all participants will be held. On application a deposit of € 50 must be paid. This deposit will not be refundable in case of cancellation on the part of the student. The organization reserves the right to cancel a specific workshop if a minimum number of participants is not reached. Students of the workshops will be entitled to a 50% reduction on the tickets for the 2019 Floremus Festival concerts. The workshops will take place at the Scuola di Musica di Fiesole, Via delle Fontanelle 24, Fiesole, FLORENCE. To apply please fill in the APPLICATION FORM HERE.